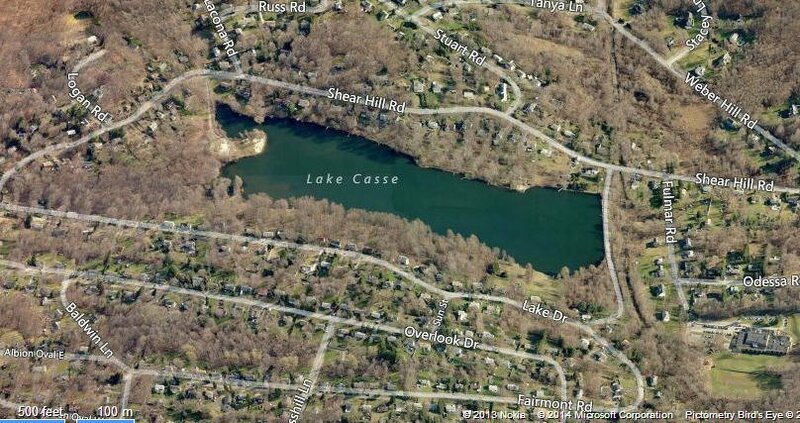 Lake Casse located in Mahopac is small lake of about 30 acres in size. It is owned by the Lake Casse Park District and is used for recreational purposes for residents of the Lake Casse community and has a beach, playground and a clubhouse. The Lake Casse community is conveniently located to shops and restaurants and easy commute to the Croton Falls Metro North train.